17.95" x 8.31" x 18.19"
Distinctive Exterior Design with Tempered Glass Side Panel Window: The asymmetrical, smooth-edged design adds bold styling to your build. Light it Up: Integrated white front accent lighting adds dramatic illumination to your system. Builder-Friendly Internal Layout: Simple and intuitive internal layout enables easy and quick building. 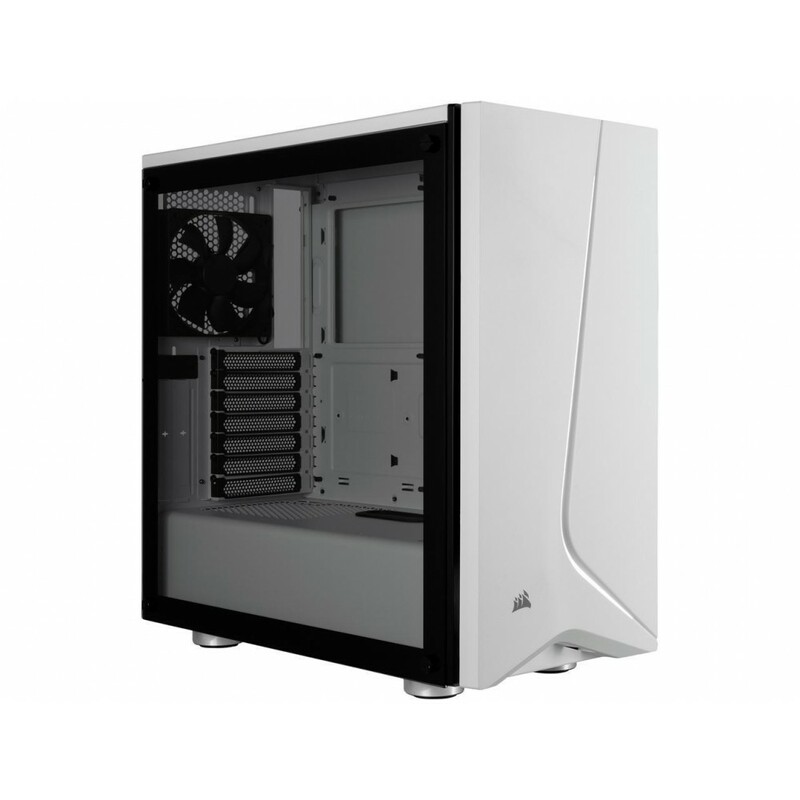 Versatile Cooling Options: Room for up to six 120mm fans, or a 360mm radiator in the front, 240mm radiator in the roof, and 120mm radiator in the rear. Expansive Storage Space: Ample of room for additional drives with room for up to four 2.5in SSDs and two 3.5in HDDs. Built-in Cable Routing: Dedicated cable routing compartment enables effortlessly clean builds. Direct Airflow Path Cooling: Two included 120mm fans ensure cool air is directed to the hottest components, without any interference from drive cages.